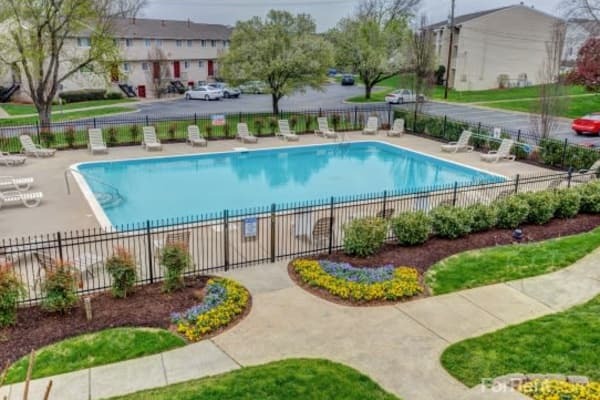 Convenience meets luxury in our one, two, and three bedroom apartments for rent in Nashville, TN. At Lincoya Bay Apartments & Townhomes, each of our homes is equipped with an extensive list of comfortable features, including central air conditioning, walk-in closets, and washer and dryer connections. Your kitchen is fully equipped with essentials such as custom cabinetry and a timesaving dishwasher. Instead of doing dishes, you can enjoy a sip of your favorite beverage while taking in the views of our community from your private balcony or patio. Live in a community that offers a relaxed lifestyle just steps from your home. Lounge alongside the swimming pool and work on your tan. Stay healthy and strong in the fitness center, or get together with friends for a match on our sand volleyball court. Or maybe head to the WiFi-equipped clubhouse for a fun board game night. With our onsite dog park, you don’t have to travel far to get your pup her daily exercise. Opportunities for fun and relaxation are endless at Lincoya Bay Apartments & Townhomes. Get in touch with our team and schedule a tour of our community today. We can’t wait to show you around.